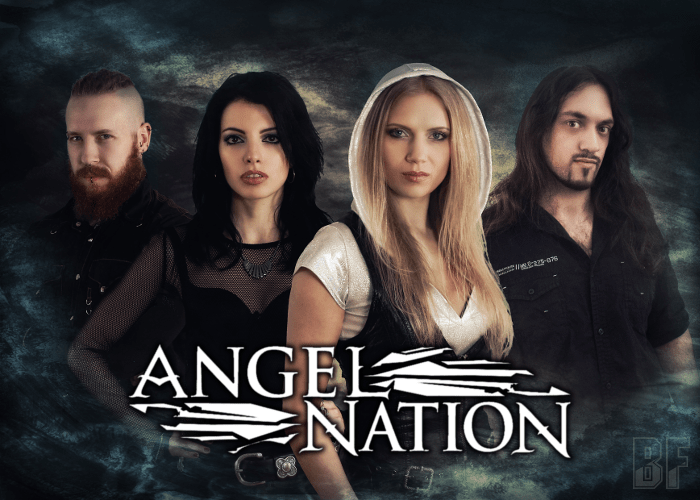 ANGEL NATION is a melodic metal band founded in 2011 by the classically trained Finnish singer Elina Siirala (Leaves' Eyes) after she moved to London in 2008. Originally formed under the name EnkeliNation (AngelNation in Finnish). Their debut album “Tears Of Lust” was released under the name and received glowing reviews all over the world. 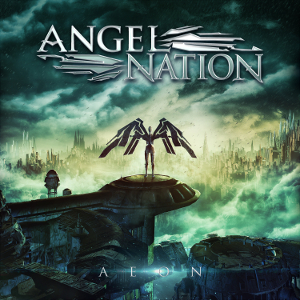 On October 27th 2017, ANGEL NATION released their second album “Aeon” through Inner Wound Recordings. The power of metal and rock combined with Elina's ethereal yet strong and emotional vocals create the perfect platform for stories of both earthly and otherworldly she likes to create with her lyrics. The album features guest appearances by Jukka Pelkonen (Omnium Gatherum) on vocals and Elina's mother Merit Palas on violin. The artwork is created by Jan Yrlund (Apocalyptica, Delain, Leah). The band played at Bloodstock Open Air, shows in Finland amongst others as well. In 2016 Elina also joined Leaves' Eyes as their new vocalist. For fans of Melodic, Epic, and Power Metal.